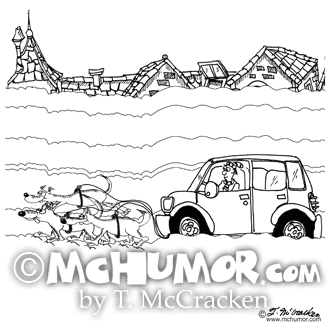 Winter Cartoon 8182: A dog sled team tows a car on a snowy morning. 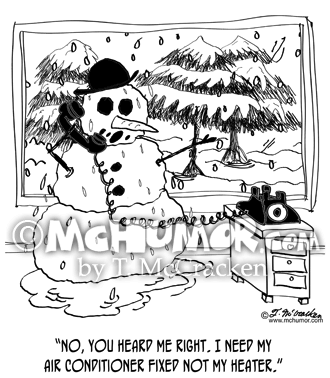 Snowman Cartoon 8686: While it’s snowing outside the window melting snowman inside a house says on the phone, “No, you heard me right. 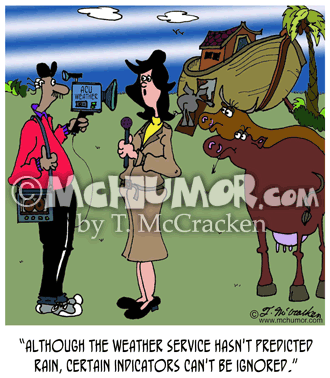 I need my air conditioner fixed not my heater." 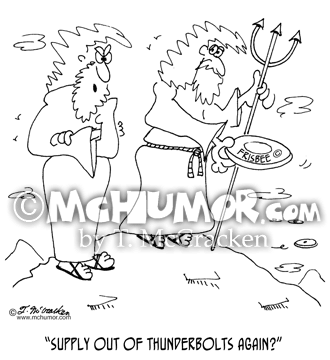 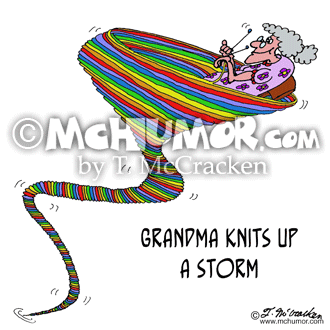 Knitting Cartoon 7947: “Grandma knits up a storm.” A grandma knits atop a tornado. 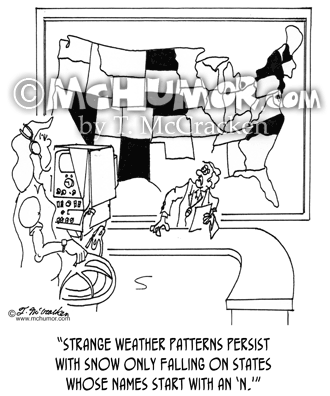 Weather Cartoon 0888: A weather forecaster in front of a map with Nebraska, North Carolina, and other states blotted out saying, "Strange weather patterns persist with snow only falling on states whose names start with an 'N.'" 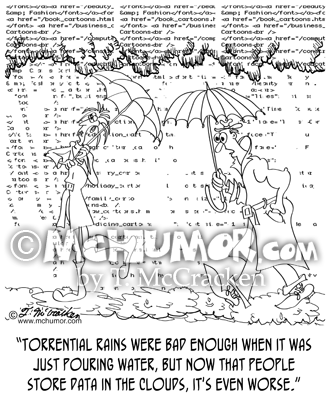 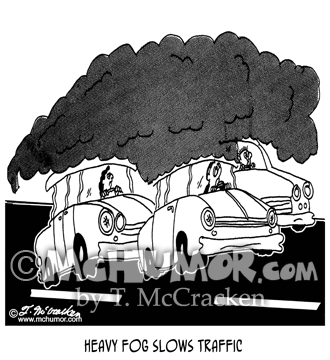 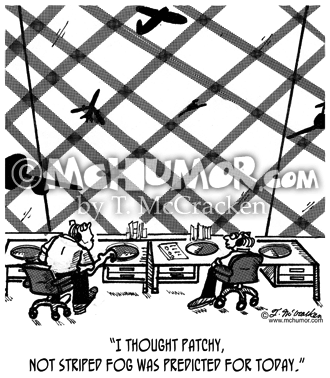 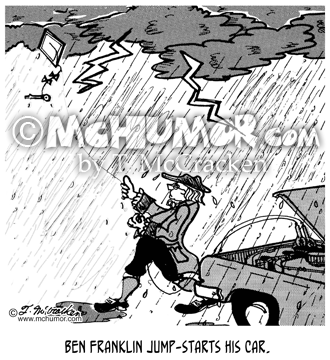 Cloud Cartoon 8834: As data rains down during a storm a man says, "Torrential rains were bad enough when it was just pouring water, but now that people store data in the clouds, it's even worse."